Rarely does one get the opportunity to sit with a legend in the broadcast television world. When opportunity knocks, my motto is REACH! Grab it! Lean In! This week I interviewed investigative reporter, news anchor, and consumer watchdog, Susan Wornick. She is a local television legend. You know Susan Wornick. Every Bostonian does. Her graceful presence. Calm demeanor. Yup, that one, with the warm blue eyes and friendly disposition, which she sometimes turns off when the time is just right. Susan Wornick, three-time Emmy winner, and journalist extraordinaire sat down with me to talk about success as she wraps up her last week on Channel 5 News. I arrived at WCVB-Channel 5 with a list of question on greatness. Susan offered amazing insight on personal success. These are lessons for anyone looking to achieve big goals in life, whether it's business or life, whether it's making pizzas or creating great journalism. Allow me to introduce you to the amazing Susan Wornick as she shares 5 Keys to Creating Influence, Success, and Happiness in Business and Life. Comfort Zone: When Susan first started in her career, she was working in radio. She has been told that she was the first woman to hold a full time radio position in New Hampshire. It was the late 1970s when she moved to a Boston station, where she was also a solo female on-air personality reporting the news. Was she uncomfortable? Not really. She said that being a woman had its advantages at the time. For one, when she attended press conferences she was always the first reporter allowed questions. I asked Susan how often she forces herself to get out of her comfort zone today. Her reply, "What comfort zone?" Years of reporting has drained away the comfort zone to a point where today she has no problem asking for what she wants, sharing her opinion, and standing up for what she believes in. Standing Up: In 1985 Susan Wornick was sentenced to three months in jail for not giving up the name of an informant during a Grand Jury investigation. As difficult as it was to be examined under a microscope on the other side of a camera, she said this was one of the highlights of her career. Wornick explained that at the end of the day you have to stand for something. It's the core of who you are. For Wornick, she stood up for privacy, for journalism, and for herself. By the way, the informant eventually did come forward and Wornick never had to serve the sentence. This was a turning point in her career, one that bolstered her reputation as a tenacious journalist who was willing to stand her ground to protect not just this source, but also the future of journalism. The Other Side of the Story: Susan is a well-known consumer watchdog. She's always watching out for the little guy. That being said, she acknowledges that there is never just one side to a story. The mistake people make in life is that they always quickly side with the story they first hear. Susan will admit that sometimes she will hear a story and she quickly becomes impartial when she hears how someone has been wronged. That being said, she always remains open to listening to the other side. She said that journalism is not about remaining impartial. It's about remaining open to the idea that there's always another side to the story. Mentors: Susan is grateful for the many mentors that guided her through her life and her career. Her number one mentor has been her mother who had an amazing ability to both work and raise a family. Growing up, Susan's dad was a traveling shoe salesman. He was often gone for long stretches of time and so that left much of the responsibility in raising Susan and her brother to her mom. Her mom also worked a retail job and was a regular philanthropist. Susan, who commits a large chunk of her personal schedule to helping charities raise money through guest appearances, says all of it is because she saw her mom constantly giving back when she was a kid. 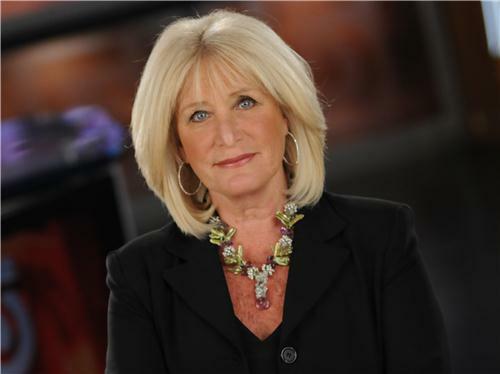 As well, Susan's entire career has been lined with mentors who have helped pave the way for her success, like Eddie Bell the News Director at WBZ who brought Susan along when he changed stations, as well as journalists Martha Raddatz and Emily Rooney. Knowing When the Show is Over: Four years ago Susan reported a story that changed her life. It was the story of Britney Gengel. Britney was a teenager doing mission work in Haiti when an earthquake hit. Her parents, Len and Cherylann, feared the worst that their daughter had perished. There was no contact at all with Britney except for a text message that was sent hours before the quake. In the days after the earthquake, there was news that Britney had been found alive. Susan traveled to Florida with the Gengels for the reunion with Britney. "It was such a happy, party atmosphere," said Wornick. When the plane landed in Florida, Susan looked over at Cherylann and sensed there was something wrong, but didn't want to say anything. There was in fact something wrong, really wrong. The school had been mistaken. There would be no happy reunion. Britney Gengel hadn't been found. Susan said that every once in a while there's a story that comes along and shakes you to your core. Britney Gengel was that story for Susan Wornick. She said that she could barely pull herself together to report that Britney had not been rescued. She would sob in the bathroom as she lived through the heartache and pain, shoulder to shoulder with Len and Cherylann Gengel, and the rest of the grieving family who so desperately clung to hope that Britney would be found alive. Britney Gengel's remains were found at The Hotel Montana, 33 days after the earthquake. Ever since the awful tragedy, Len and Cherylann have built an orphanage in Britney's name, in Grand Goave Haiti. Susan has become like extended family to the Gengel's. Wornick knew in her heart as she shared Britney's story that this was going to be the last chapter of her reporting career. Susan says that there comes a point when you just know the show is over for you and that's when it's time to gracefully plan your exit. We won't have the opportunity to see Susan anchor her Channel 5 spot any longer, but her show is far from over. She's going to spend some quality time with her 99-year-old mom in Florida while she maps out the next stage of her career. Believe me when I say this is far from the final curtain call for Susan.